The village of Grand Lake, situated on the western boundary of Rocky Mountain National Park, is the access point for Colorado's largest groomed snowmobile trail system. More than 150 miles of groomed trails wind through the western portion of Rocky Mountain National Park and the Arapaho National Forest. The highest trail on the system climbs to 11,685 feet and provides breathtaking views of the surrounding mountain peaks. Winter visitors can snowmobile within Grand Lake itself; the village leaves its streets snowy so sleds are the preferred mode of travel. Snowmobile rentals are available at several locations. Jim's Sleigh Rides, located next to the Cozen's Ranch museum in Fraser, offers horse-drawn sleigh rides through the forest along the Fraser River. Tours pass by the first homesteader's log cabin, built more than 120 years ago, then stop for hot refreshments around a fire in the midst of giant spruce trees. Tours depart daily at 1:30 p.m., 3:30 p.m.; 5:30 p.m. and 7:30 p.m. The Stables at SilverCreek offers sleigh rides by reservation. Rides depart from a 19th century homesteader's cabin located near the ski area. Evening rides may be arranged that end with a family-style steak dinner served in the cabin; hot chocolate and chili rides also are available. Located near Granby and close to both the Winter Park and SilverCreek ski areas, Snow Mountain Ranch offers a wide variety of activities for non-skiers. Guided, interpretive snowshoe hikes and destination snowshoe hikes are available by reservation. Visitors also may rent snowshoes for $10 a day and hike on their own within Snow Mountain Ranch's extensive trail system. Other activities include an indoor pool and sauna, basketball and volleyball courts and roller skating rink. Use of these facilities is free to YMCA members and $3 daily for non-members. The YMCA's indoor climbing wall is also available to members ($4 daily) and non- members ($6 daily). Winter Park Resort offers guided snowshoe tours along forest trails that remain undiscovered by skiers and snowboarders. Two-hour tours depart daily at 1 p.m. from the base of the ski area. The $25 cost includes snowshoes, poles and a single-ride lift ticket. After a ride up the Gemini Express chairlift, participants take a gentle backcountry tour to learn basic snowshoeing skills, along with facts about local history and native plants and animals. No special skills are needed. With hundreds of kilometers of groomed trails, Grand County serves as one of Colorado's post popular cross-country ski destinations. A few options include Snow Mountain Ranch/YMCA of the Rockies, which provides more than 100 kilometers of groomed trails, suitable for both beginners and experts. The ranch also offers a 3 km lighted loop for night skiing, covering gentle terrain. Lessons, rentals, ski accessories and food & beverages are available at the Nordic Center. Known primarily as a downhill ski resort, SilverCreek offers 40 kilometers of cross-country trails that connect with those in Snow Mountain Ranch, making the combined network one of the largest groomed trail systems in Colorado. These trails, suitable for all levels of ability, take skiers through pine and aspen forests that are home to large herds of deer and elk. Hundreds of canine athletes and their owners will return to Grand County, Colorado, on three consecutive weekends during February and March to compete in the annual Triple Crown sled dog races. More than 120 sled dog teams from across the country will participate in these events, which take place in Grand County -- known as "Colorado's Sled Dog Racing Capital." The Grand County Rendezvous, sponsored by the Rocky Mountain Sled Dog Club, will take place Feb. 15-16 from 10 a.m. to 2 p.m. The race course is located one mile south of Granby off U.S. Highway 40 at the Granby Sports Park; directional signs will lead spectators to the parking area. More than 70 percent of the race course is visible to the public, making it ideal for spectators to watch the dogs, who fill the winter air with barks, yelps and howls as they eagerly prepare for competition. The Granby Sled Dog Classic is scheduled for Feb. 22-23 at the same location from 10 a.m. to 2 p.m. Three-, four-, six- and eight-dog teams will race along an eight-mile course for prize money and points toward international standing. The Granby Sled Dog Classic is the only sled dog race in Colorado accredited by the U.S. Sled Dog Sports Foundation, which is seeking Olympic recognition for the sport. The Triple Crown will culminate on March 1-2 near Grand Lake, Colorado, with the 7th Annual High Altitude Sled Dog Championships. Races will get underway both days at 10 a.m. at Winding River Resort Village. To reach the race site, follow County Road 491, which is located off U.S. Highway 34, directly across from the Kawuneeche Visitor Center at the west entrance to Rocky Mountain National Park. Foot and cross-country ski trails make 80 percent of the race course accessible to public viewing and photographing the competitors. Admission to all three sled dog races is free. Hosting more sled dog races than any other part of Colorado, Grand County lays claim to the title of "Colorado's Sled Dog Racing Capital. " Sled dog racing was established in Grand County during the 1930s; it is one of the state's fastest-growing winter spectator sports. 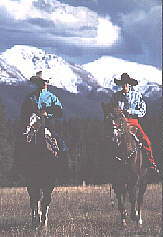 Grand County is located approximately two hours west of Denver on the western slope of the Continental Divide. An unspoiled, rural area roughly the size of Delaware, the county contains the winter resort areas of Grand Lake, Silver Creek and Winter Park, as well as the western portion of Rocky Mountain National Park.